Confession time. Hosting makes me really nervous. Maybe it's the thought of something going wrong with the food, or realizing at the last minute that I don't have enough cutlery/napkins/small talk, or just that I'm actually a closet introvert that panics at the thought of a bunch of people in my house. I'm not sure. But it is something I'd like to change about myself, and there are two people who have inspired me to make hosting with confidence my personal resolution in 2015. 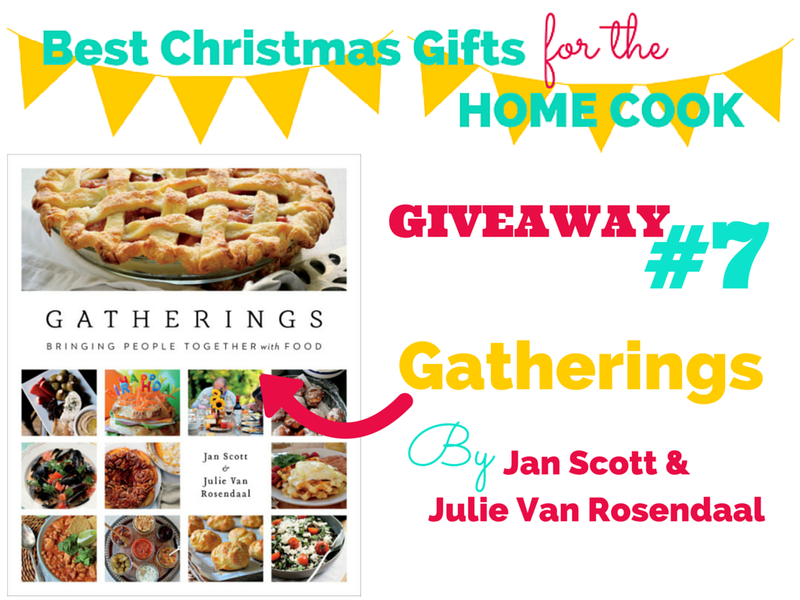 The newly-released cookbook Gatherings by my friends Jan Scott (Family Bites) and Julie Van Rosendaal (Dinner with Julie) is part of my Best Christmas Gifts for the Home Cook 2014 wish list. 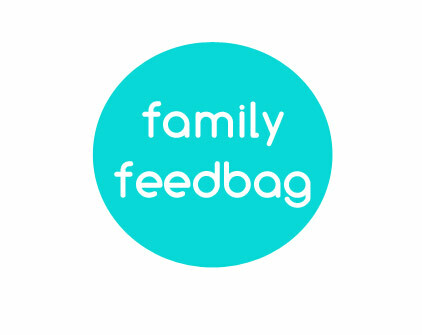 I have spent the past week posting giveaways for every item on that list here on Family Feedbag (you can still enter them all! ), and giving away a copy of Gatherings to one of you feels like a really special way to wrap up the festivities. 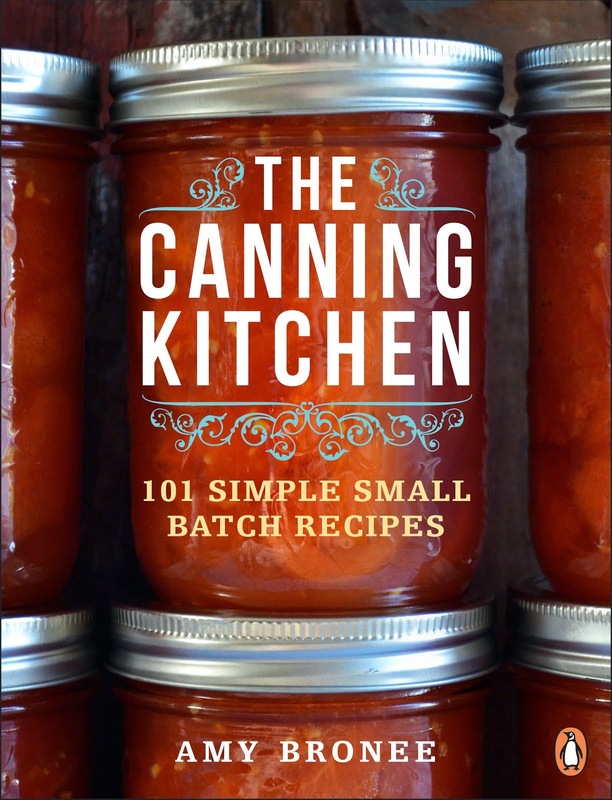 With recipes and hosting tips for kids birthday parties and showers, Gatherings goes even deeper into home entertaining with practical, fun ideas for sleepover parties, retro game nights and even a pie party. Wait, what? Yes, a pie party. No need to wait until a certain holiday to host a get together. Gatherings will have you wanting to bring friends together over good food any time at all. I have this theory about trying out new cookbooks, that if you try a recipe hidden deep somewhere in the book, especially if it's one of the few that doesn't have an accompanying photograph, and it's good, then you can bet the rest of the book is good too. I dug deep into Gatherings and found the Book Club chapter, which includes lovely ideas in the short essays 'How to Start a Book Club' and 'How to Host a Cookbook Club,' as well as a long list of 'Recommended Food Literature for Book Clubs.' Across the centre fold from that list, I found a yummy-sounding recipe for Garlic Bread Focaccia. No surprise, of course, the focaccia is awesome. Jan and Julie know how to bring people together with good food, and I'm looking forward to trying out more of their recipes in Gatherings and putting their party planning tips into action in my own home. To enter to win a copy of Gatherings (Whitecap Books), leave a comment on this blog post telling me your favourite kind of gathering to host, or one you would like to host for the first time. BE SURE TO LEAVE YOUR EMAIL ADDRESS so I can contact you if you win. Canadian residents only. One entry per person. Contest closes on Thursday, December 11th at 9 p.m. Eastern/6 p.m. Pacific. Winner will be contacted directly and announced on FamilyFeedbag.com. My favorite kind of gathering to host is Christmas Day dinner. My favourite gathering to host is the food themed parties that we have with a few food bloggers and friends. Always a different theme and everything made from scratch-Korean, dumplings, perfect poutine etc. I would host a knitting get together. nebuchmann at Gmail dot com. My favorite gathering to host is my annual cookie exchange party, which has also turned into a wine and pasta party with all of our dearest friends! It's a relaxed, casual party which is perfect during the busy holiday season! I love hosting parties of any kind. I do need to win a bigger house to have the parties though! 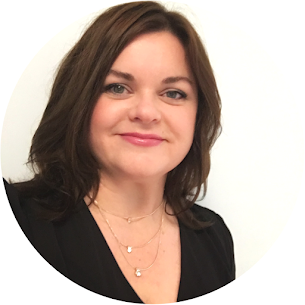 Thanks for participating in the virtual book tour Amy! Good luck to all those who are entering - this is a must have book! Aw, thank you so much for featuring the book this week! You guys are unbelievably generous and I think it's so awesome the way you've come together this week. If there is a way that I can sign the book for the winner, I'd be happy to do so! Holiday Open House..love it..also I do a Halloween Bash too..Thanks..cook book looks great. I did this as anon..since our emails will be here..
floridagld (at) yahoo (dot) com. Thanks!! And, have a great Christmas. Family board games, starting with marathon Boxing Day session and turkey sandwiches. My favourite kind of gatherings to plan and host are birthday parties for my kids. So much crazy, happy joy! I love getting together with a small group of friends - good food, good wine, and good conversation cannot be beat! Fav gathering is having friends and family over for lots of different/yummy appi's, music playing, prob a sports game muted in the back ground..... and a few bottles of wine! Plates of Nibbles I call them. I love small intimate gatherings, very informal and relaxed. I love to serve food buffet style. Thank you for this wonderful opportunity! I love to host all kinds... big sprawling summer gatherings on our back deck, small intimate family dinners for my neighbours, mommas documentary nights with sinful treats and delicious popcorn. But I too always feel the anxiety... will everyone be happy? satisfied? full?!! This book looks like a delicious, windy and rainy evening read. Christmas gatherings are my favorite. I love to host elegant dinner parties with friends with a focus on wine pairings with each course. Anne dot bury at gmail dot com. I am not sure I have a special occasion that I like to host. I do however like to host breakfast / brunch. Only cause it means I can eat pancakes and bacon anytime I want it. Another of our favourite things to do is to have appies for dinner. We did that last Christmas, we had no company so it was just the three of us, so instead of a big dinner, we had appies on Christmas Eve and Christmas Day. It was perfect, as the amount of work to be done was not huge. Happy Holiday! The focaccia will definitely be a hit! My favorite gathering to host are the July birthdays in our family, which includes my husband. The weather is usually good, allowing us to be outside, with all the kids running around and the guys playing a game of Bags. It's a casual gathering, comfortable clothes, great summer type dishes and fun with family. My favourite gathering ia breakfast or brunch. I love cooking breakfast and baking homemade baked goods to accompany. I totally bypassed this focaccia when I flipped through the book! 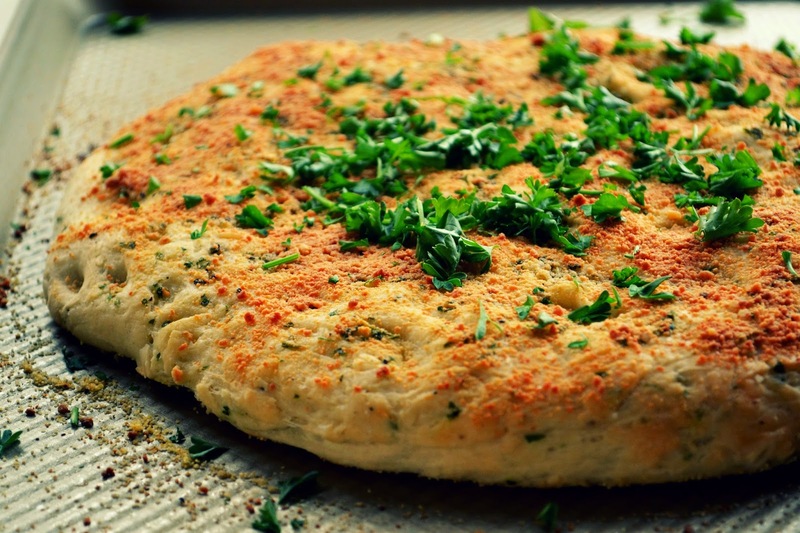 I have a serious garlic bread obsession, so I need to make this SOON! Perfect to feed a large crowd with a pasta dinner! The focaccia looks great- and a perfect recipe to serve when you're entertaining!